If you have received a Pixel Technologies EM-4GE unit with M2M One SIM cards installed please complete the registration form below providing the serial number of all the EM-4GE’s you need activated. M2M One have partnered with Pixel Technologies to provide a simple monthly service for your emergency communications. 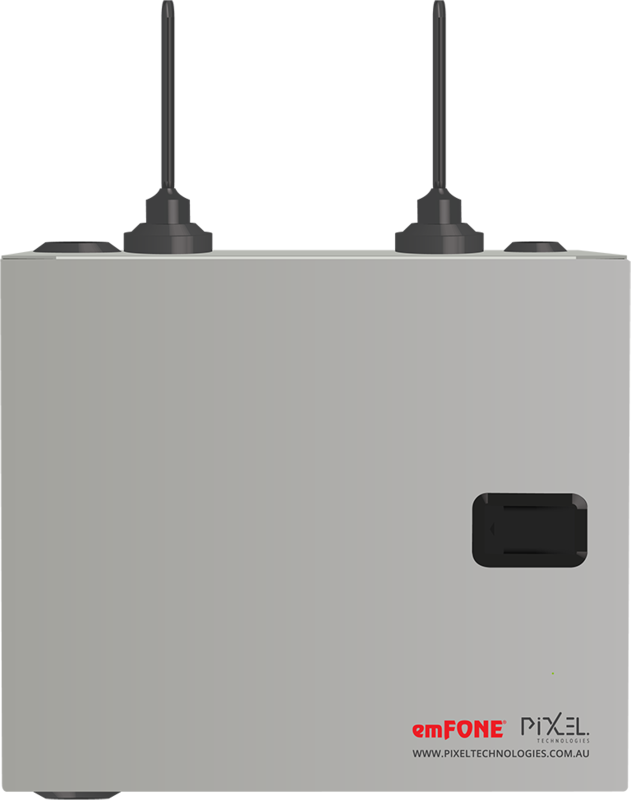 The Pixel EM-4GE Wireless Communication Gateway provides a simple standalone solution in lieu of arranging conventional phone lines and is specifically built to replace existing PSTN phone lines being decommissioned in nbn™ network migration or similar network areas. M2M One & Pixel provide a dual SIM failover solution to give you access to Australia’s two largest mobile networks.